The Archivist works one day a week, normally Wednesdays, in term time only. He is happy to answer any enquiries and researchers can visit the School by appointment. For those unable to visit, small items can be scanned and sent electronically, subject to the usual copyright requirements. 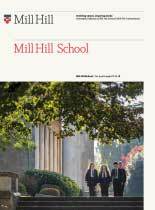 An oral history project is to commence shortly; Old Millhillians will be interviewed about their time at the School. The Archivist is also responsible for the archives of the three other Foundation Schools; Belmont, Grimsdell and The Mount, Mill Hill International.